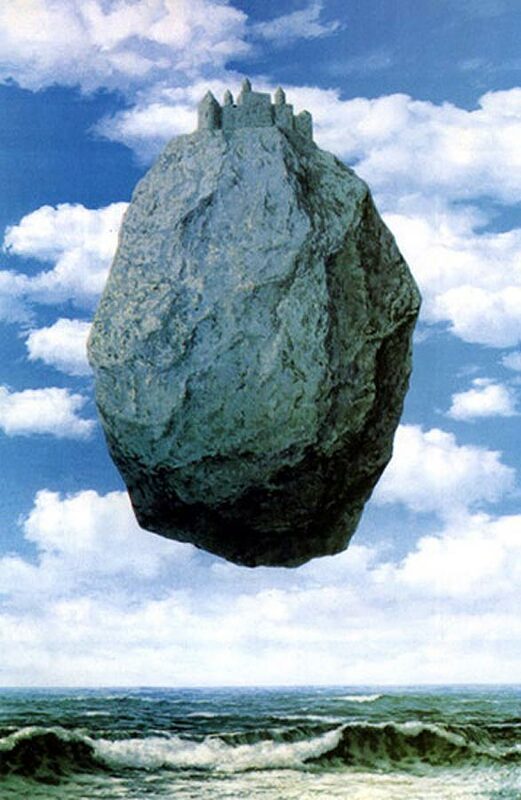 An ascot-wearing skeleton sits cross-legged in the desert, holding an umbrella, as cacti fall from the sky like men in an Magritte painting. Pancho Villa sings backward Bob Dylan lyrics as he faces the firing squad. A motorcycle speeds across a tightrope beneath a floating Mount Rushmore. 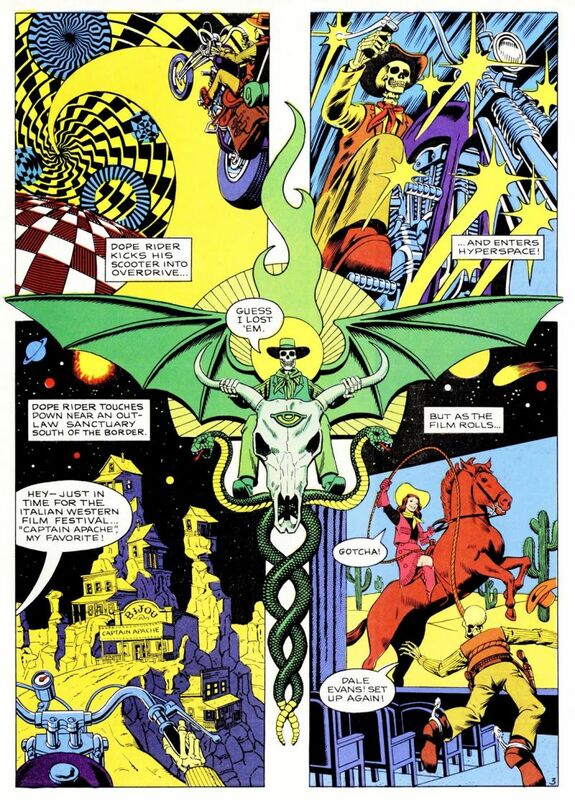 This is the universe of Dope Rider, history's most beautiful comic about a deeply stoned undead cowboy. 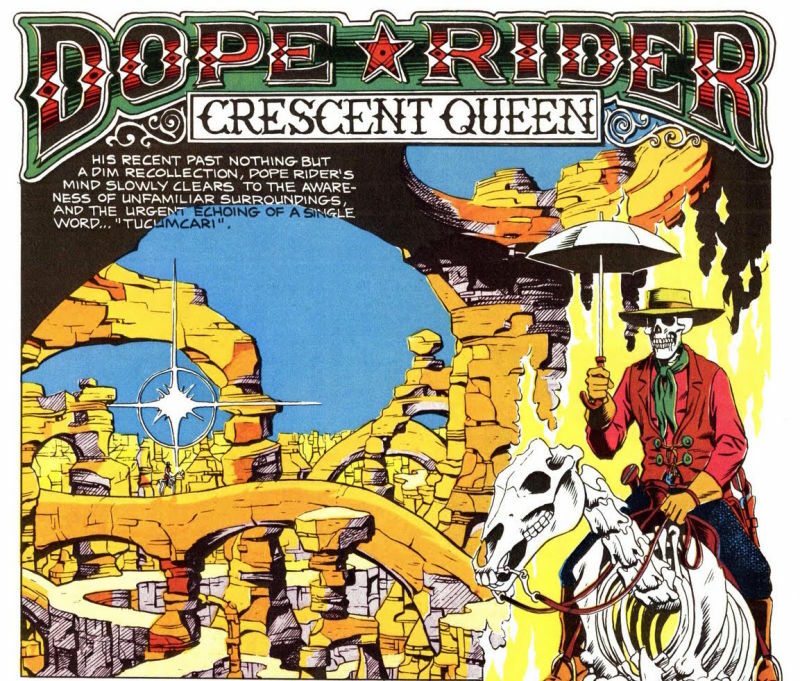 "Dope Rider,"as noted today on Dangerous Minds, appeared in High Times magazine several times between 1975 and 1986. 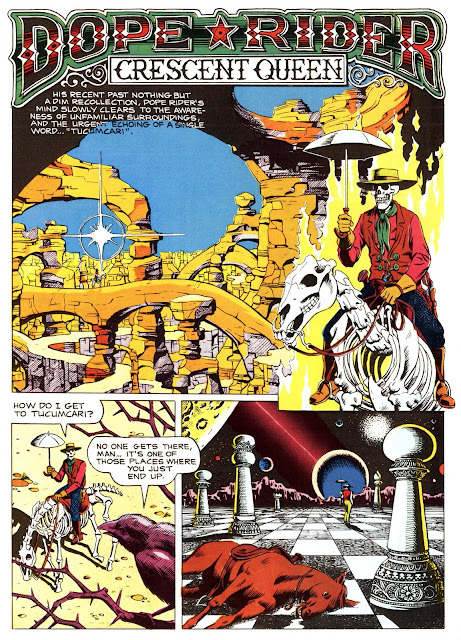 Paul Kirchner, the comic's creator, also published "Dope Rider" in several other since-forgotten outlets with names like Harpoon, Apple Pie, and Scary Tales. Last year, Kirchner uploaded high-res scans of every issue to his blog. 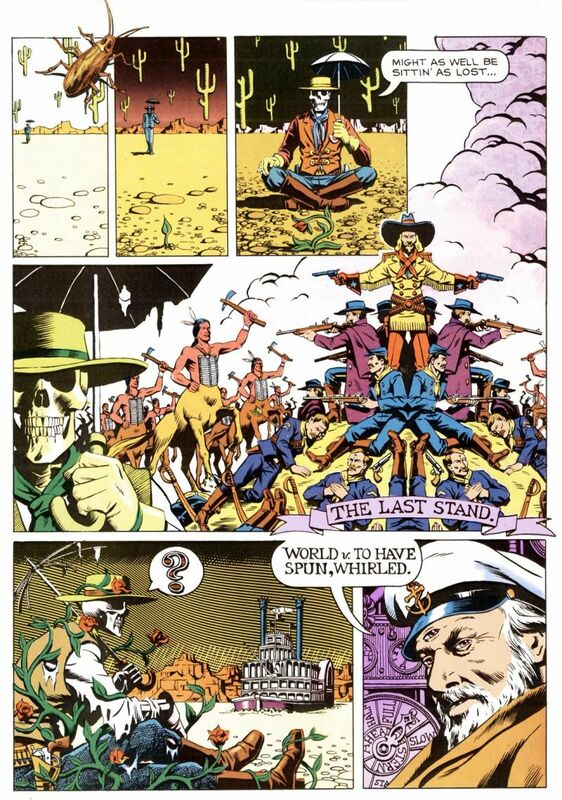 "Dope Rider" is probably best described as a cross between Sergio Leone-style spaghetti western and classic surrealism: the aforementioned floating Rushmore is likely another Magritte reference, and Kirchner also nods at least once at M.C. Escher. You don't have to be high as hell to appreciate Kirchner's vivid imagery and disjointed storytelling, but I'm sure it probably helps. Check out a few choice panels below and see the rest on Kirchner's site. 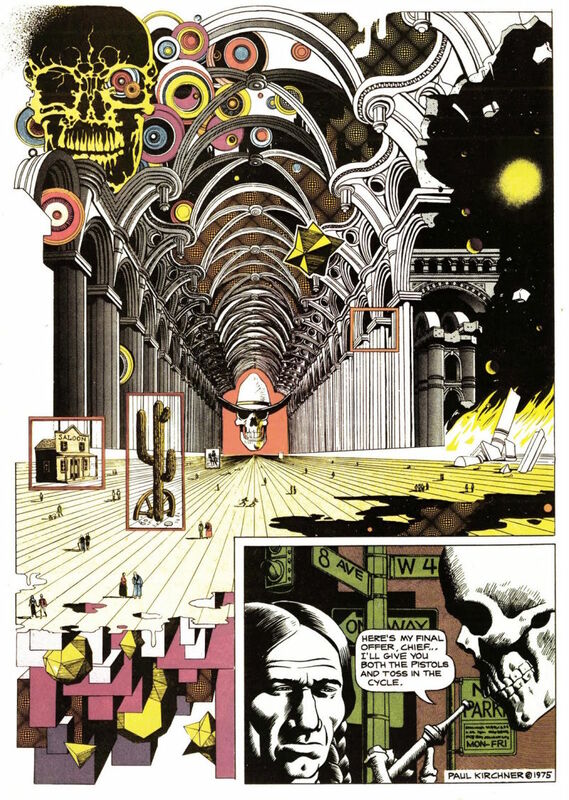 Images via Paul Kirchner. Contact the author at andy@gawker.com.